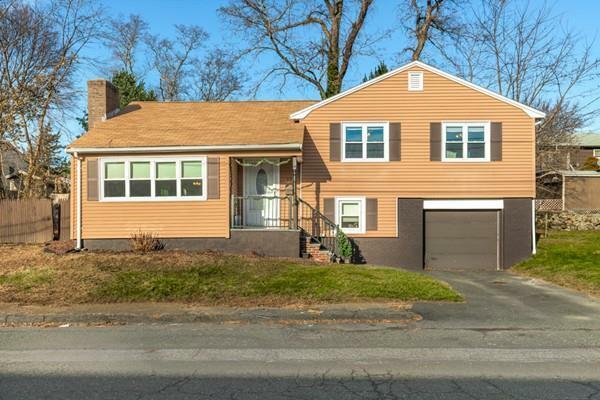 This well maintained multi-level home is set in a beautiful Wheelerâs Point location just steps to the Annisquam River. The interior consists of an open living and dining area with hardwood floors, recessed lighting and ceiling fans, a kitchen, an updated bath with a tiled shower and three bedrooms also with hardwood floors and ceiling fans. The finished lower level has a play room or second living area, and there is also a one car garage, many new windows and a new heating system as well. The exterior provides low maintenance vinyl siding, a 5 year old roof, a fenced in yard, a screened in porch and a small deck and patio. From the front yard you can see the river letting you know just how close the water is, and just down the street is access to Corliss Landing which provides a tidal beach and boat ramp.